The Nigerian Airforce has confirmed that its aircraft taking part in rehearsals for Nigeria’s 58 independence anniversary has crashed in Abuja. 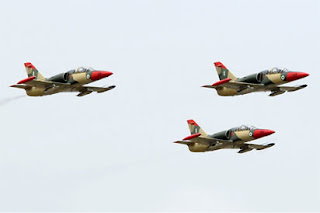 A statement by Air Commodore Ibikunle Daramola, Director of Public Relations and Information said’, “I wish to confirm an air incident involving 2 Nigerian Air Force aircraft taking part in the rehearsals for the 58th Independence Day Celebrations. Military sources said that the crash occurred at the Mpape district of Abuja which is adjacent to Maitama district.